Night Revival Creme, a photo by Shop New Zealand on Flickr. Wake UP with Fresh Radiant Skin! This is a beautiful recovery cream from a long exhausted night! From partying to staying home this cream is formulate to revive your skins from yesterday’s effect. 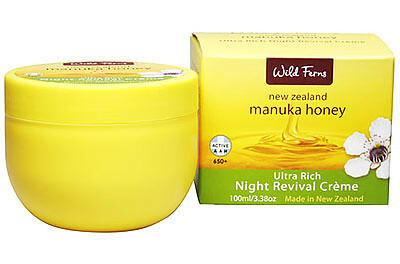 This Manuka Honey Revival Cream from New Zealand contains unique pure active Manuka AAH 650+, which is renowned for its miraculous healing anti-oxidant properties. Enriched with Vitamin E and Neroil that is essential in providing intense therapy treatment, to moist and replenish the skin levels and suppleness while you sleep as well as helping with diminishing fine lines and wrinkles.